The troubled E Division of the RCMP is facing the threat of no longer having B.C. citizens to serve, protect and occasionally abuse. Here’s hoping! UPDATE 2018: New Surrey Council first votes include ending the RCMP in Surrey. Every city that contracts the RCMP can cancel the contract and supply a local police force that is accountable locally. hint. B.C. RCMP, known as E Division, has been under frequent scrutiny for outright abuse, fraud, perjury, assaults and more for years. So much so that the RCMP has lost the right to investigate themselves due to the obvious lack of interest in upholding the law when it comes to their own members’ many illegal and immoral activities. Yes, there are lots of good RCMP doing good work BUT their job also entails reporting, investigating and prosecuting, without bias or favour, the crimes of their “RCMP brothers and sisters”. To do anything less is to stop being “good” and become an accomplice to the crime. That’s the cold hard truth. Take your pick. You are either upholding the law, living up to your oath or you are aiding and abetting the crimes of your RCMP brethren when you say nothing, do nothing or lie to protect them. As a contracted federal-quasi-military police force hired by the province to provide policing services to most of B.C.. the feds are threatening to not renew the contract unless the province does it NOW and for 20 more years. That’s right 20 years! Can you say dirty pool. The feds want the right to run B.C. with their military police for 20 more years. Let’s tell them, no thanks! For some sad reason the government of B.C. is still seeking to renew their contract instead of reviving a most honourable police force in North America (and the first). That’s right BC had the first police force in North America and for some reason disbanded it in favour of federal military police force largely out of the control of the province. UPDATE 2016: Mounties offer apology and $100M compensation for harassment, sexual abuse against female members – OMG – will it never end… apparently not, this often was the leadership, against their own people – over decades! Ontario, Quebec have provincial police, why doesn’t B.C.? We should be kicking them out, not begging to keep them on (or being “forced” to re-contract them). Maybe it would be OK if E Division promise to obey the law and hold their own officers to account for violence and crimes against citizens. No, I don’t think a promise is sufficient. Maybe you want to let the government know that its time to dump the RCMP for good. Mountie misbehaviour has once again reared its ugly head. The Royal Canadian Mounted Police took another hit to its beleaguered reputation this week when two female officers went to the media with complaints about a systemic problem of sexual harassment within RCMP ranks. In 2007 RCMP commissioner Giuliano Zaccardelli resigned after he admitted he had given incorrect testimony to a parliamentary committee looking into the Maher Arar affair. Also in 2007, the Taser death of Polish immigrant Robert Dziekanski spurred loud questions about RCMP accountability. Earlier this year, commissioner William Elliot, the first civilian to lead the RCMP, was forced to resign after an internal revolt because of his “abrasive” leadership style. More recently, major gaffes by RCMP officers in the Robert Pickton investigation are being highlighted as part of the Missing Women’s Inquiry in British Columbia. Collectively, these incidents have denigrated morale and public trust in a once proud and respected organization. The new commissioner, expected to be named shortly, will have a big job ahead of him or her. A good place to start might be to implement some of the recommendations from a 2007 task force led by former Ontario Securities Commission head David Brown. As reported by CBC News, Brown’s report stated Mounties need a civilian oversight model with powers to summon witnesses and compel testimony, and where all findings would be binding. The new commissioner will need to address the RCMP’s so-called penalty box culture, as CBC dubs it, where people who question authority are bullied or seconded to other departments. There is also talk of unionization which would be a good thing, some say, for those officers who come into conflict with their superiors. Ultimately, the new RCMP commissioner faces a daunting task: to fix the RCMP. 1. Sexual harassment stories and multiple lawsuits hitting the RCMP. Well that may be, but the issue is local control vs dealing with a foreign based agency (federal RCMP Act etc). The power to properly operate the police force falls best to local politicians and local people to ENFORCE the laws against their local police. Whether they do or not is what creates the problem. 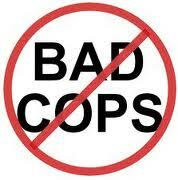 Best to have a local police force that is enforceable locally and to actually ENFORCE the darn laws holding the police accountable. It almost always comes down to poor leadership not enforcing the law, within the force and politically. Maybe Surrey starting from scratch can do a better job…we’ll see. The Ontario Provincial Police offer no advantage over RCMP unless extremely high costs and severely overpaid traffic cops are an advantage!